NVIDIA is doing this as well and at a time when they are preparing to launch their next GPU, Pascal. The details on Pascal are a little thin on the ground, but rumors are rampant. Right now there are several that bear watching. The first is that Pascal will come out swinging with large amounts of HBM2, 4096-bit memory interface, NVLink, half precision FP16 compute, and also an advanced DX12 feature set. If those rumors are to be believed, then the HBM2 sporting Pascal is in the hands of OEM partners for testing and validation. Now what makes the rumor interesting is that the models that are allegedly being tested seems to include two flavors. One could very well be the HBM2 version while the others could end up being GDDR5X variants. Both Samsung and Micron have announced that they are mass producing this type of memory so there will be plenty of supply and by doing this NVIDIA would be able to launch an improved product at multiple price points and performance levels while maintaining availability. The HBM2 Pascal is likely to have supply issues due to the current limitation on HBM. This would not really affect a GDDR5X based card. Using GDDR5X would still give NVIDIA roughly twice the bandwidth and performance of standard GDDR5 so they would not be skimping on performance. Both of these cards would be very well suited to running VR and at high frame rates. 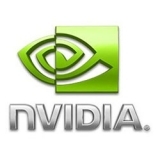 So it is likely that NVIDIA will have both flavors at some point. Especially with the hype and push around VR. Of course all of this talk about NVIDIA’s next GPU is unconfirmed rumor, but we do know that NVIDIA will be giving out more information in April. For now, NVIDIA and VR fans will have to gorge themselves on rumor and speculation… then again that is part of the fun.